"Well, all I’ll say is the films we are working on now – which take us through to the Avengers Untitled in May of 19 – that’s really all we are focusing on. And we are focusing on bringing, by that point, an unprecedented, 22-movie, continuous shared fictional narrative to a conclusion in a satisfying way." "And where we go beyond that? Of course we will go places beyond that. And, of course, we have ideas of where we go beyond that. But, really, it is all good stories. And as the series finale of Star Trek: The Next Generation said, ‘All good things must come to an end.’ And part of what makes them special, there is a finite quality to the best of fictional stories through history. And we wanted to do that at the end of our first three phases and 22 movies. How we start anew and wherever we go beyond that is a story for another time. This is really about 10 years on, bringing something to a head in a satisfying and unexpected way." Talk of conclusions and starting anew backs up what Feige has suggested before, that Avengers 4 is going to be the end of the MCU as we know it. 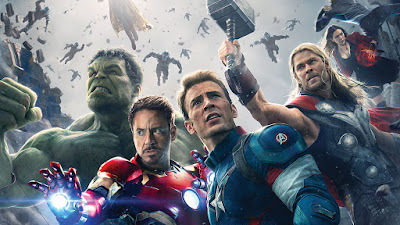 Probably there will be an entirely different trio of Avengers leading the team, with all-new corners of the universe to explore and tougher enemies to fight. I can't wait to see how it looks, but I'm also excited to see how Phase 3 comes to a close.